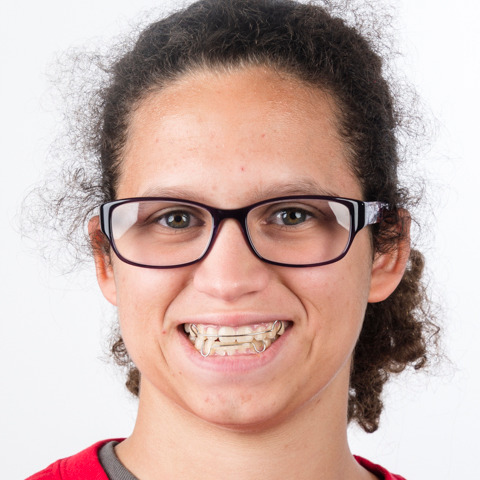 Saneatha Trice, a gymnast, began competing in Special Olympics in her home state of Illinois in 8th grade. She has competed all over the country through USA Gymnastics and revels in the opportunity to meet new people and compete with athletes from across the globe. Saneatha attributes much of her comfort competing at a high level to meeting friends in competition from Florida to Costa Rica. Aside from being the queen of the balance beam, she also loves to bowl, play softball, volleyball, basketball, and swim, but gymnastics holds a special place in her heart. Her greatest accomplishment so far? Winning five gold medals at the 2018 Special Olympics USA Games in Seattle this past year. Saneatha is not only excited to be a part of the 2019 World Games Abu Dhabi team, but to travel to another country for the first time thanks to the opportunities given by Special Olympics!